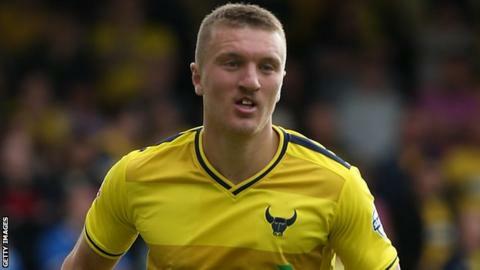 Oxford United left-back Joe Skarz will miss the rest of the season after suffering a ruptured groin muscle. The 26-year-old had been playing through a problem with his groin before tearing the muscle in the goalless draw at Cambridge on 28 March. Skarz has appeared in 49 games for the U's in all competitions this season. "We knew the risk of a rupture happening but we were hoping we could manage the situation," manager Michael Appleton told the club website. "It got to a stage against Cambridge where he was struggling to turn and that was when we knew he needed to get it looked at."